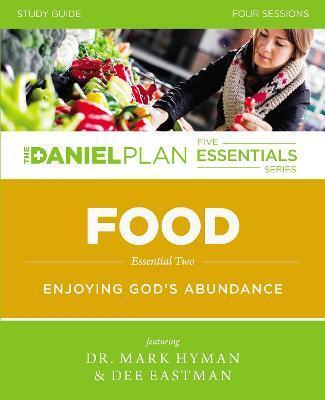 In this four-session video-based Bible study (DVD/digital video sold separately), The Daniel Plan team explores both the spiritual and the health benefits of following a healthy lifestyle by focusing on the second essential of The Daniel Plan: Food. The sessions include: Learning to Live Abundantly Jumpstart Your Health Cravings, Comfort Food, and Choices Designing Your Eating Life Each session will highlight testimony from those who have incorporated The Daniel Plan into their everyday lifestyle, plus tips on getting started and medically based information on maintaining a healthy lifestyle by following The Daniel Plan. Each of the other DVD/Study Guides will focus on another essential: Faith, Fitness, Focus, and Friends. Designed for use with the Food Video Study (sold separately).